adaption of the play Die H0se by Carl Sternheim. 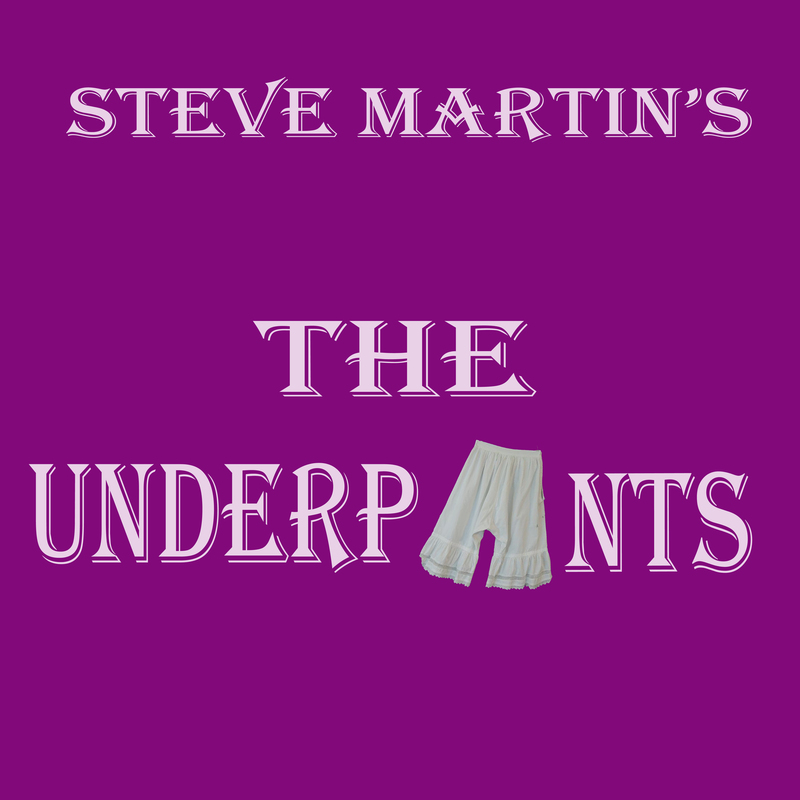 Adaptation by comedian Steve Martin who is also famous for his play Picasso at the Lapin Agile. April 25-27 @ 7:30pm, and April 28 at 2:30 pm, Robert E. Johnson Theatre. Theo Markes suffers from the unusual problem that his wife's underpants won't stay on, later on creating a scandal when they fall to her ankles right in the middle of town. Theo swears to keep her at home until she can find some less unruly undies. Unfortunately, he's trying to rent a room in their flat where his wife’s recent public display have attracted prospective lodgers with amorous intentions.